In January 1982, the band released "See You", their first single without Clarke, which against all expectations, managed to beat all three Clarke-penned singles in the UK charts, reaching number six. In January 1982, the band embarked on their first world tour, the "See You" tour. In the ensuing months of that year, two more singles were released ("The Meaning of Love", and "Leave in Silence"). Depeche Mode began work on their second album in July 1982. Daniel Miller informed Wilder that he was not needed for the recording of the album, as the band wanted to prove that they could succeed without Vince Clarke. Their second album A Broken Frame was released that September. 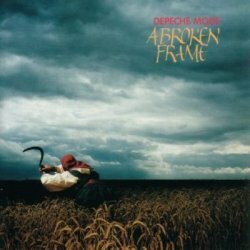 In October 1982, the band embarked on their second tour that year, the "Broken Frame Tour".